According to firm that provides loans to small businesses, the company currently has to turn away hundreds of applications each year because the applicants cannot comply with Small Business Administration (SBA) rules that require such loans only to go to individuals who have the legal status to work in this country. According to many experts including Ramit Arora of Bix2Credit, New York City potentially could see a surge of hundreds or thousands of new small businesses run by owners with legal status once President Obama’s executive order is fully implemented. Currently, immigrant-owned firms make up about half of all Main Street businesses in New York City, according to a recent report by the Fiscal Policy Institute and the Americas Society/Council of the Americas. The President’s executive order opens up a path to a legal status to an estimated 4 million undocumented immigrants nationwide, mostly those with family here. It also facilitates highly skilled immigrants to open businesses and for students already here to become entrepreneurs. 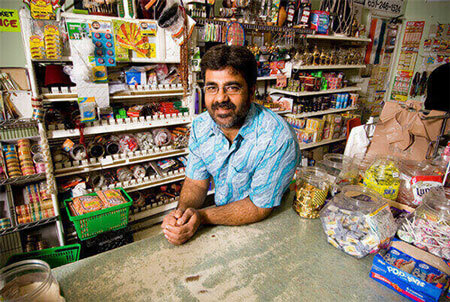 “A lot of people have to wait to start their businesses,” said Mr. Arora. “They would contribute a lot to the U.S. economy.” He figures that 30% to 40% of borrowers served by his Manhattan-based company—which facilitated $400 million in loans last year—are immigrant-owned firms and expects these levels will rise considerably provided the immigration measures are not blocked. The executive order includes an expansion of the somewhat ambiguous definition of a person of “national interest” who is therefore eligible for an entrepreneurs’ visa. Under the order, that could include people who provide investor funding or otherwise show the promise of job creation, said David Leopold, a past president of the Washington, D.C.-based American Immigration Lawyers Association. In addition, the order extends to 17 months the time that people who recently received a STEM degree are allowed to stay in the country after graduation and allows spouses of people who are here on employment visas to work. All of these measures in the aggregate will likely give many immigrants the chance to start more businesses in the New York area and beyond.